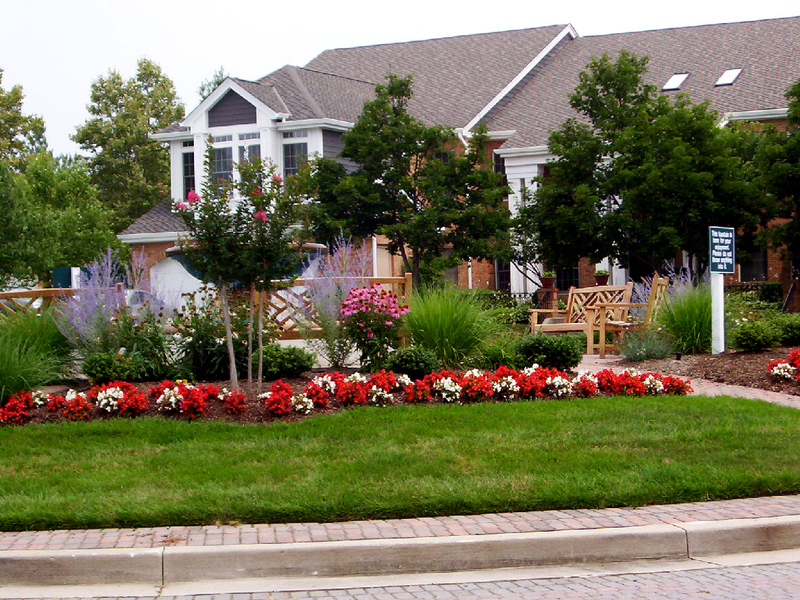 Does Your Landscape Attract The Type Of Tenants And Customers That You Want? The condition of your landscape is often the first impression a customer or prospect may get when they drive by or pull into your entrance way. It can be negatively influenced if your facility has dead plants, over grown plantings or … worse yet … unsightly weeds three foot tall around your entrance signage. On the flip side, it can be positively influenced with a clean and lush landscape. 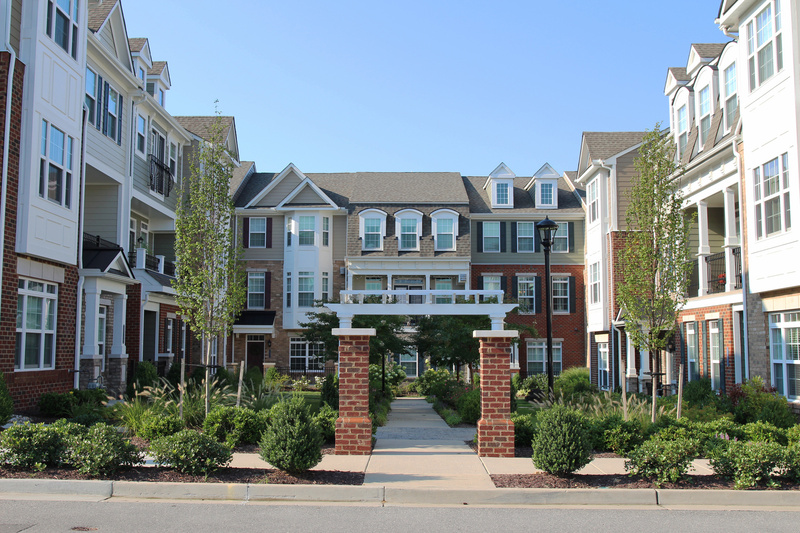 If your building or HOA markets itself as a high-quality firm, high end retail or a great place to live, your customers or prospects may relate your landscape presentation to an implied lower quality or lower class neighborhood if your landscape doesn’t make the proper presentation. As we all know, first impressions go a long way with people’s interactions and how they spend their time and money. Here are four checkpoints to help you get the Return On Investments (ROI) of your landscape by creating a great curb appeal to attract a higher end tenant, customer or to increase your home’s property values in your neighborhood. One of the foundational items on our checklist for making your property look great is cleanliness. Paying attention to trash/debris that filters onto your property or from your facility and routinely removing it is a great start. Nothing stands out quicker as a “trashy” property then a Styrofoam cup or a plastic bag caught up in the bushes. Another item in the cleanliness category is to have sharp bed lines. Typically in the Spring season, we perform our spring clean ups and prepare the landscape for a fresh layer of mulch. As a part of this process we will manually or sometimes mechanically cut a deep crisp edge around all plant beds and in lawn trees. Not only does this leave an attractive line break between the mulch and the turf but it also helps to retain the mulch from washing and or blowing out of the area that it was intended to be in. It defines the gardening space and also helps to prevent grass from spreading into the mulched area. Akehurst will occasionally re-hit these edges while mowing with a string trimmer to keep the edges clean and crisp throughout the growing season. As mentioned above, a fresh covering of mulch annually will help keep the weeds away and retain moisture for the plants and creates a clean look to the spaces in and around the plants. For more information on how mulch helps when the weather is dry, read our tips on handling drought conditions: What Does This Summer’s Heat and Dry Weather Do To My Landscape? Containing excessive growth of plants by pruning will enhance the aesthetics of your landscape. Whether it is a tightly sheared hedge or a selectively pruned bush, managing the shrubbery’s growth and keeping it from overgrowing its space will also allow proper pedestrian flow along sidewalks, vehicular flow along roadways and parking lots as well as a reduction of security issues for plants in areas that can obstruct views. The order of a well landscaped property not only adds value to the property but it will also make it more inviting to your prospects as they visit your property. An inviting landscape maximizes the sensory experience and evokes a positive emotion. Landscape elements of line and form, textures and colors as well as creating a focal point or screening for privacy of unsightly views should be incorporated into your landscape design. A well ordered landscape will be inviting with a few strong lines such as hedges around parking lots as well as curvilinear lines which feel more natural out in lawn areas or along walkways and drive lanes. These curvilinear lines of plantings will allow the eye to slow down and enjoy the landscape in a relaxed and inviting way. Be sure that there is some sort of theme to your landscape where multiple varieties, plant heights and textures are working together in an appealing fashion. Should you desire to have your facility or Home Owner’s Association’s landscape brought up to a status that is more inviting, please contact us for a free consultation. A lush and green landscape creates a feeling of relaxation to the viewer. Utilization of multiple varieties of plants and heights grouped together in masses will fill out the spaces bringing excitement with variations of leaf textures. The amount of spacing between plants plays an integral part in the display as well. During the spring season, as a part of our maintenance practices, Akehurst will also fertilize the plants in your plant beds with a slow release fertilizer further pushing the lushness of your plants to their potential. A simple component in the Lushness Category is having a green, weed free carpet of turf that is properly mowed and edged. This will provide a clean look as well as lushness to any property while enhancing your curb appeal. And don’t forget to water when needed: Irrigation is also vital to maintaining the lushness of the landscape, especially during the drier summer months. Installing vibrant colors will create a WOW Factor. Maintaining clean lines by edging as shown here will create a great curb appeal. 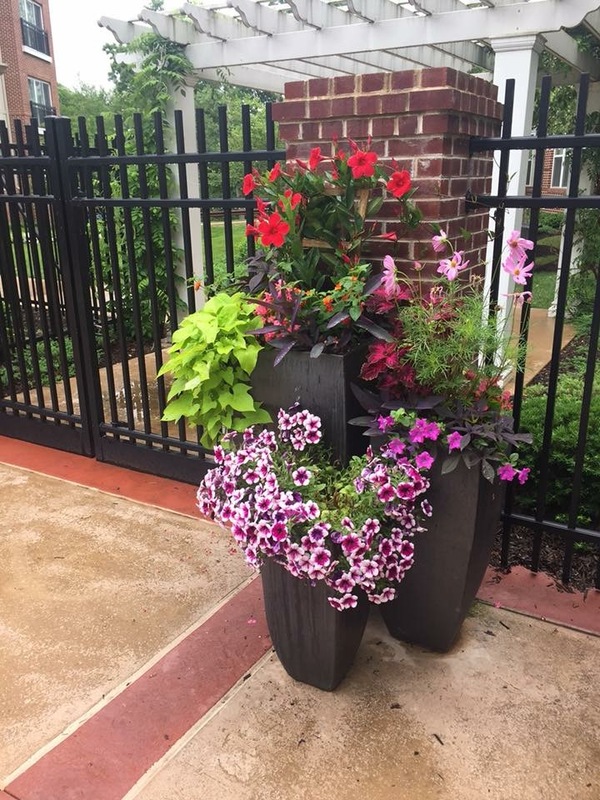 Create a wow factor that will be sure to catch the eye with colorful annuals and or blooming perennials strategically placed on your property. Color, color and more color is the best way to catch people’s attention to areas that you want to be noticed. 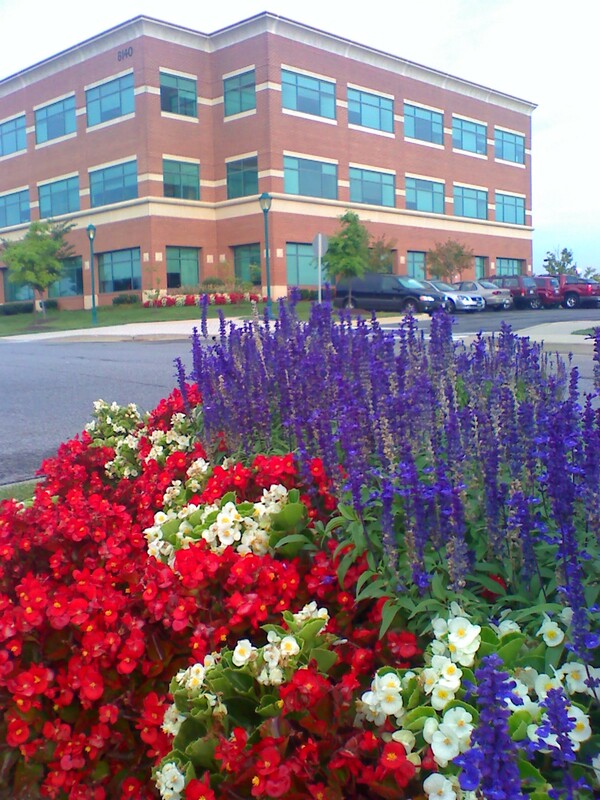 For starters, install these blooming plants around signage to the property as well as the entrance ways. If entrance way plant beds don’t allow space for them, one should consider an investment in decorative containers to be filled with them. This will soften any hardness of the walkways and building structure and will draw the attention to your entrance ways. Akehurst recommends that more of these types of plants in an area increases the eye popping statement then just a few scattered in the space. This means to plant them in mass for the areas that support it. For planting areas that are tight on planting space, we still recommend planting as many as possible for a full and big statement. Again, a mixing of varieties of different heights is more appealing to the eye. Stage the taller type of bloomers in the back of the lower growing varieties. 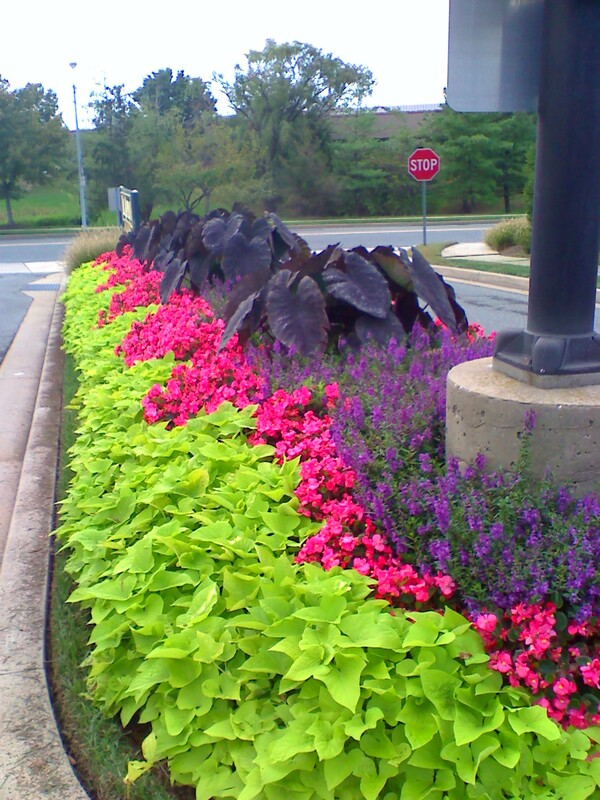 Adding this wow factor does come with an increase in maintenance especially when it comes to annuals. We recommend that they be watered frequently along with routine fertilizer applications to maximize their growth and blooming potential thus getting more of a return on your investment of the annual plantings. Great curb appeal will attract a higher end tenant and buyer. The quality and condition of your property’s landscape may or may not represent the level of service that your business performs or the higher grade merchandise your tenants sell, but it definitely will relay a psychological image to the public and buyers that you are surrounded with as to the quality of the entity or families that reside on the property. If you are not attracting the types of tenants and clients that you desire, take a walk outside and evaluate the image you are conveying by weighing your landscape against these four checkpoints of Cleanliness, Order, Lushness and Wow factor. It could just mean that a little extra attention in a few areas are all that is needed to improve your image, or it may require a complete makeover. Either way, Akehurst is here to assist you any way that we can to improve the ROI of your landscape by helping you to attract the tenants and buyers that you want. Categories: Commercial and Industrial,Residential Communities,Retail and Resort.